This week, Meerkat introduced a new feature that allows viewers to take over and contribute to a live feed on the app. Meerkat this week introduced a new feature that allows viewers to take over and contribute to a live feed on the app. Called Cameo, the feature allows the filmer to select a viewer to appear on screen for up to 60 seconds. Broadcasters can now invite viewers to take over their stream for up to sixty seconds. It’s a simple yet powerful way to create a deeper human connection with people — going from “broadcasting to” towards “broadcasting with.” — This is the first of many steps to come towards our long-term vision for participatory live-streaming. 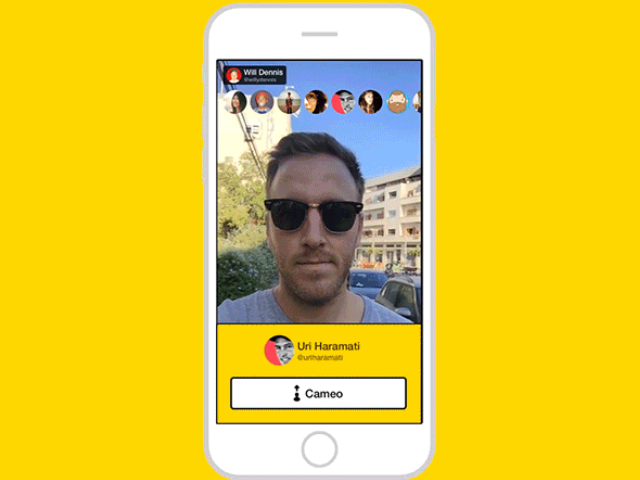 With Cameo, Meerkat becomes one step more intimate and two steps more powerful for spontaneous shared experiences. When a cameo invitation is accepted, that person’s followers will receive a notification inviting them to view the stream. You can now connect your Facebook profile and we’ll automatically let you know when one of your friends and Pages you follow join and start streaming. By connecting Meerkat with Facebook, we greatly increase the chances that you will be able to take part in conversations, events and moments with those whom you are most familiar. Meerkat stressed that nothing would be posted automatically to Facebook when you engage with the app. You can now easily save your stream directly to your own personal Meerkat Library at the end of the broadcast. Just go to meerkatapp.co/username and login to manage your private saved streams history. You choose which streams to share publicly. Readers: What do you think of the new features?